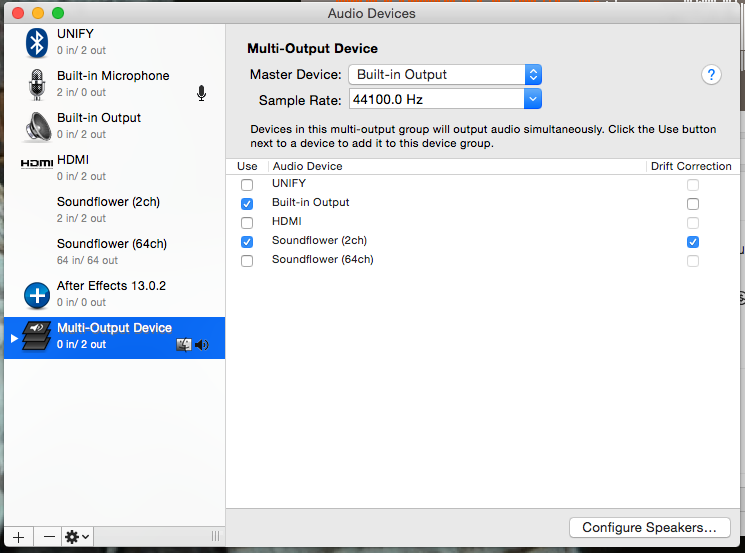 Now that the Soundflowerbed app is retired, I haven't been able to record my Mac's system audio :( Following the instructions from mattingalls' Soundflower-2 installation guide, (https://github.com/mattingalls/Soundflower/releases/tag/2.0b2), I rebooted, and then created a Multi-Output Device in Audio MIDI Setup, to be able to listen to the audio through the built-in speakers along with sending it through Soundflower 2CH, But I'm getting a super low audio volume when I try to record through Quicktime 10.4. 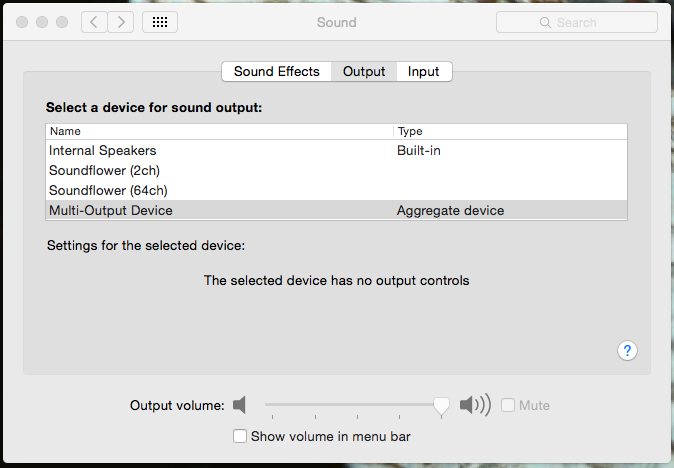 Even with the volume cranked, there's very little sound in the Quicktime recording, and yes, I did make sure to adjust the volume before switching to the Multi-Output Device in Sys. Prefs. 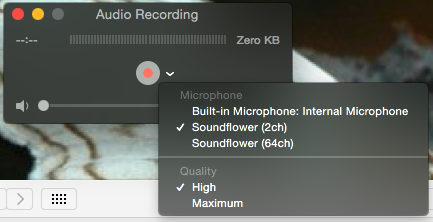 Browse other questions tagged yosemite audio quicktime soundflower .